And one more prog super group, was the first thought I had when reading who's a member of Kino. After his previous prog super group Transatlantic broke up, ex-Marillion bass player Pete Trewavas can consider himself lucky to be in a likewise group, with the main difference that all band members are from England only this time. Pillars of Kino are keyboarder John Beck who played with the underrated It Bites (terrible hair, but one of the more memorable 80s prog albums with Once Around The World) and vocalist / guitar player John Mitchell from Arena. Picture could have become a routined run of the mill album, but surprisingly the first half of songs is among the most vital I have heard in a long time in the modern progressive genre. Where Transatlantic combined European 70s prog with American 70s prog, Kino try (and most of the time succeed) to bridge the gap between the British prog icons of the 70s and the new wave of brit prog rock from the 80s, probably due to the strong song writing skills by John Beck. The album starts already with its longest song Losers Day Parade, an enchanting journey through all what makes this album so good. I was astonished that the über-commercial Telling Me To Tell You is not the disappointed songs like this normally are, but with its sly use of vibraphone and Quadrophenia-like keyboards in the end comes across as the album's absolute highlight. The following Swimming In Women shows the band from a more dramatic side, reminiscing of Genesis great Lamb magnum opus. The second half of the album doesn't get me going that well anymore. Either the band kept its best pieces for the first half hour, or I am more used to the first songs because I used to wake up with this album for a week now, and always went off to work somewhere in the middle of the album. And while I know that comparing bands doesn't always make sense, I somehow prefer Kino to the busy people of Transatlantic. 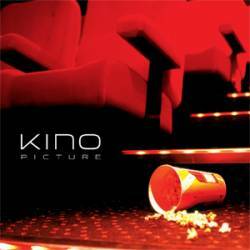 Not that they are necessarily that better, but as we had an overdose on Neal Morse and Roine Stolt music in the last couple of years, Kino is a great alternative to people who like modern prog without having it too wimpy. Beck is probably still one of the most underrated keyboard players ever, and John Mitchell's guitar is full of intelligent nuances, while his vocals are another asset for the band. Nearly the maximum rating for the first five songs, which leaves us eventually with nine generous points.